JYP Pictures, a film and drama production subsidiary of JYP Entertainment, said on Monday that it will launch a web drama “Magic School” (tentative title). 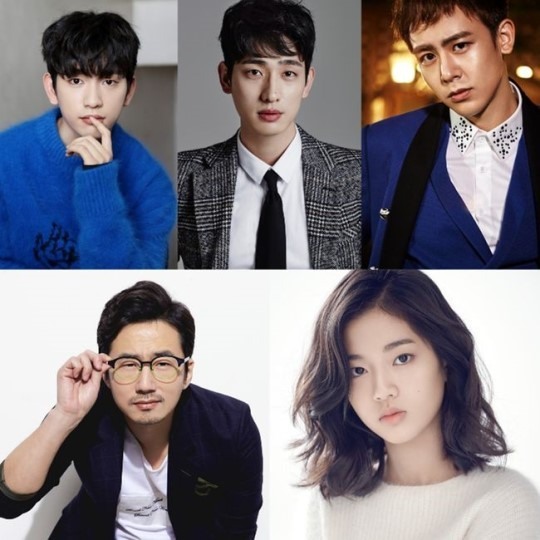 The new drama will feature a star-studded cast including Jinyoung of GOT7, Nichkhun of 2PM, actors Yoon Park, Ryu Seung-Su and Shin Eun-soo. The drama tells the story of five characters -- their dreams, hopes, challenges and frustrations -- who gathered in the magic school. The five characters include a college student who wants to be a public official (Jinyoung), a poor but warm-hearted resident doctor (Nickhun), a star magician (Park), the director of the magic school (Ryu) and the director’s daughter who wants to be a dancer (Shin). “Magic School” will start filming in July and air in the second half of the year.